Cricket Lovers Wait is over This Season IPL 2019 Start From 23th March You Get All Contest, Offer, Freebie, IPL 2019 Match Tickets And Much More Grab Fast And Find Only Here. The much awaited Perfect Fan is back with the new season of Vivo IPL 2019.Watch the champions live. Catch all the action from the stadium. 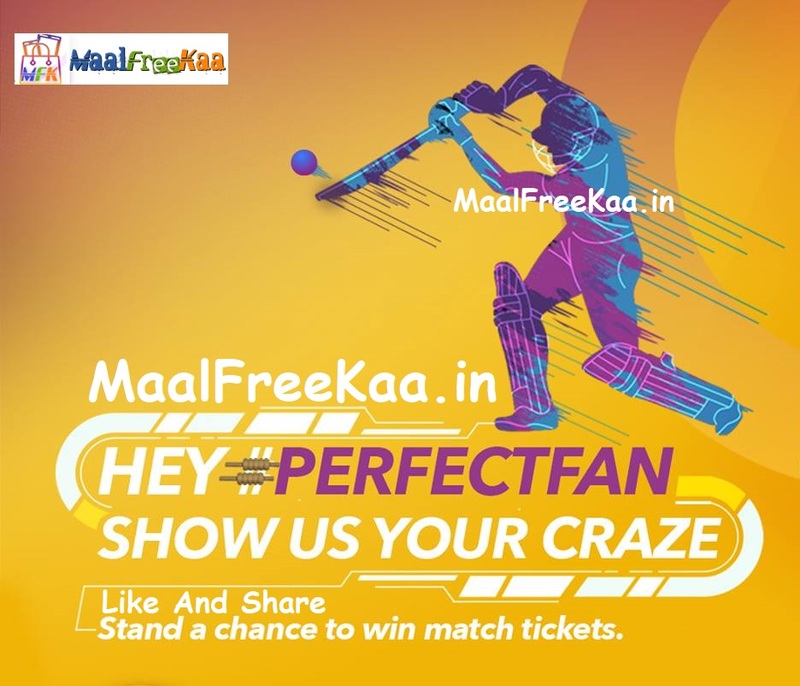 Participate in the Perfect Fan contest and win tickets to Vivo IPL 2019 IPL 2019 First Contest Are Perfect Fan From Vivo India. Perfect Fan Contest Show us your craze for IPL 2019 whenever you discuss scores, players, matches, results, predictions Anything about IPL on social media Contest live for Facebook, Twitter and Instagram users. Stand a chance to win couple tickets of the matches in your city. Weekly winners to be announced on every Friday. Mention #VIVOIPL , #PerfectFan , #<YourCityName> in your conversations / tweets around IPL (Post/ GIF/ Videos/ statuses etc - on your timeline/ Team pages/ VIVO IPL franchises’ handles/ VIVO IPL Player’s social handles etc ), anywhere on Facebook, Instagram or Twitter.